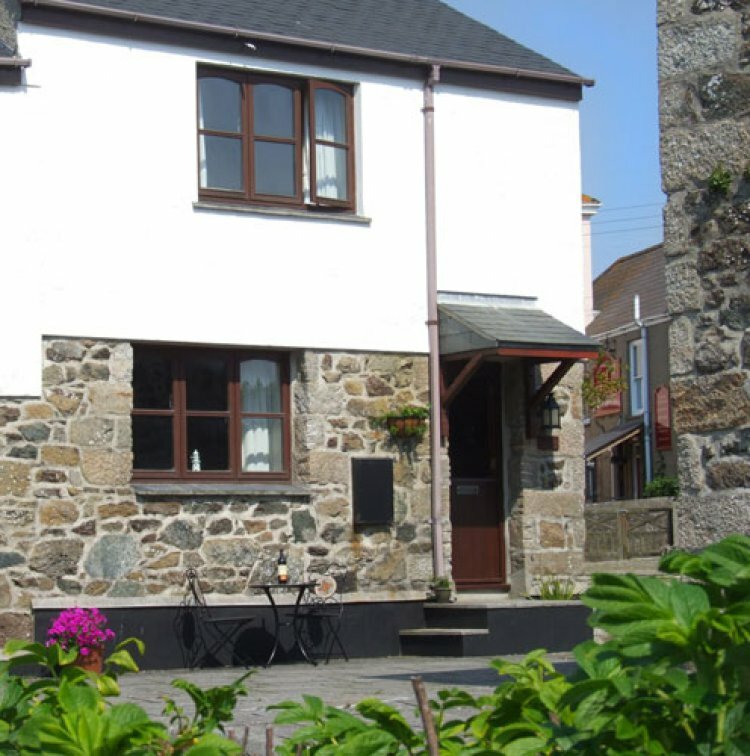 Bramble Cottage is nestled on the edge of a quiet courtyard in the centre of the picturesque Lizard village, Cornwall and is described as a real 'Home from Home' by many of its visiting guests. The local shops, quaint café, village pub and restaurants are all just a few steps away along with the famous pasty shop and small stone workshops, where the local craftsmen can still be viewed creating the serpentine souvenirs. The cottage which offers sea glimpses from upstairs is only a few hundred metres from Lizard Point and the coastal footpath. It's also just a short drive to the Helford River, the stunning Kynance Cove and other sandy beaches in the area. With lazy summer days, beautiful cliff top walks and rugged winter scenery, its location makes this an ideal property for all year round holidays. Part of a converted barn complex, Bramble Cottage is furnished to a high standard and benefits from having double-glazed windows throughout and a recently refurbished bathroom and kitchen. The spacious lounge is comfortably furnished with two large settees, fire, coffee table, large wide-screen TV with Freeview, super fast broad band, Blu-Ray DVD player, (a good selection of DVDs provided), mini hi-fi with ipod/iphone dock and night storage/convector heater. Dog-leg staircase to the first floor. Door to light oak fitted kitchen with fridge/freezer, dishwasher, auto washing machine, microwave, electric cooker with extractor over. The dining area has dining table and chairs, night storage convector heater and stable door to enclosed rear garden. Upstairs are three bedrooms, one double, one king-size (can be separated to form two, 2'6'' singles) and a single with full size 3' single bed. All bedrooms have fitted wardrobes, bedside tables with lamps and thermostatically controlled panel heaters. Tiled bathroom with toilet, handbasin, bath with shower over and wall heater. Off-road parking adjacent to the cottage, additional parking is also available close by. Small lawned garden with a picnic bench. Rental includes bedlinen, electricity, heating and WiFi. Only one dog accepted by prior arrangement at £25 per week. No smoking inside the property please.